Door locked. Check. Phone off. Check. Coffee. Check. Chocolate. Check. It’s time to hit Trove. The Hamilton Spectator has arrived! Margaret Kiddle’s description of a 19th century Hamilton Spectator could be from today. The district is still a farming area, there is still excellent reporting on all events, special articles and agriculture news. The conservatism, from the time of editors such as George Mott or his successor George Rippon, however, is no longer a part of the paper’s make up. Rather, the Spectator claims it is neutral. This stance and the history of the Hamilton Spectator is available to read in an historic timeline of the paper on their website. I grew up with The Spec. Each Monday, Wednesday and Friday afternoon we would get our Tuesday, Thursday and Saturday editions. Go figure. Mum had a shop and a paper boy would drop her copy off. Small change would sit on the counter awaiting his arrival. Alternatively, Nana would go to the newsagent in the main street and wait, with others, for the Spec to arrive. If all that failed, we could always stop at the milk bar on our way home. To our family and most others in Hamilton, the Spec was, and still is, an important part of daily life. Each edition meant something different for everyone. For me, the Thursday edition would have the netball draw for the weekly match at Pedrina Park. The Tuesday paper would have the results of the netball, more times than not a losing result for my team. Saturday was the big edition with more classifieds, maybe a farming supplement, and weekend “Amusements”. “Amusements”? Having grown up in Hamilton during in the 1970s and 1980s, I now delve into my childhood memories and the file “Hamilton Amusements” is practically empty. The grand picture theatre became an army disposals store in the mid 1970s, there was an occasional roller skating rink, Blue Light discos and drives to Lake Hamilton to delight at water going over the spillway after heavy rain… but no matter how trivial the “amusement”, we could find it in the Spec. After I left Hamilton in 1986, I kept reading the Spectator. Mum remained in Hamilton for the following nine years and she saved them for me. When she left Hamilton there was a dilemma, how would we get the Specs? Thankfully a generous family member saved us copies. They would deliver a box full of Specs when they passed through town. Mum and Nana would read them first and then pass them on to me. We have another family member living in Hamilton now and she passes them on to my Dad to read, then on to me and then Mum. I particularly like the regular history features and the Tuesday regular “Where Are They Now”. I’m often tear out articles, about Western District history or items about family members. I don’t do this with my current local paper that I don’t buy. It is run by a large multimedia company and that is the difference. That is why I prefer to read the Spectator. It is a run by a small company with only two other papers, the Portland Observer and the Casterton News under its control and it is for that reason the Spec, I believe, is in touch with the community and gives readers what they want, local content and an outlet for opinion and debate. 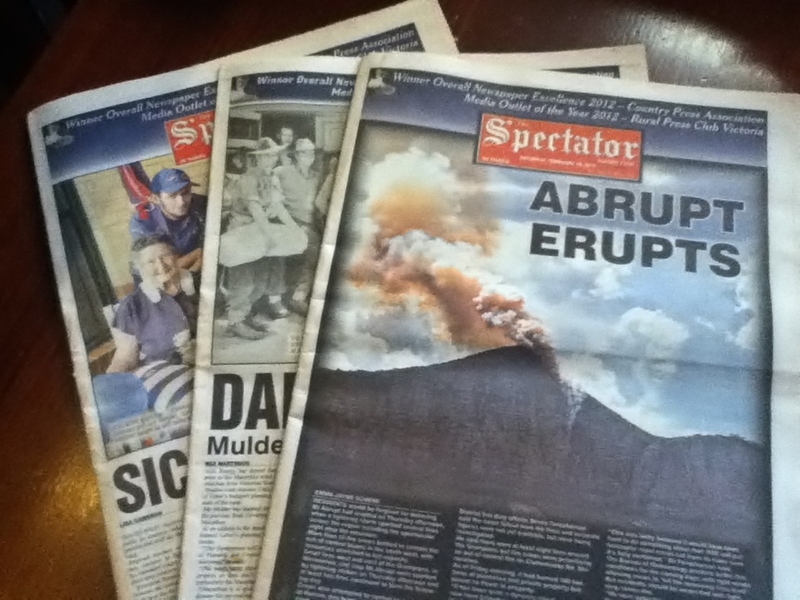 The Spectator is not the only paper that as come online during the past few days useful to Western District researchers. 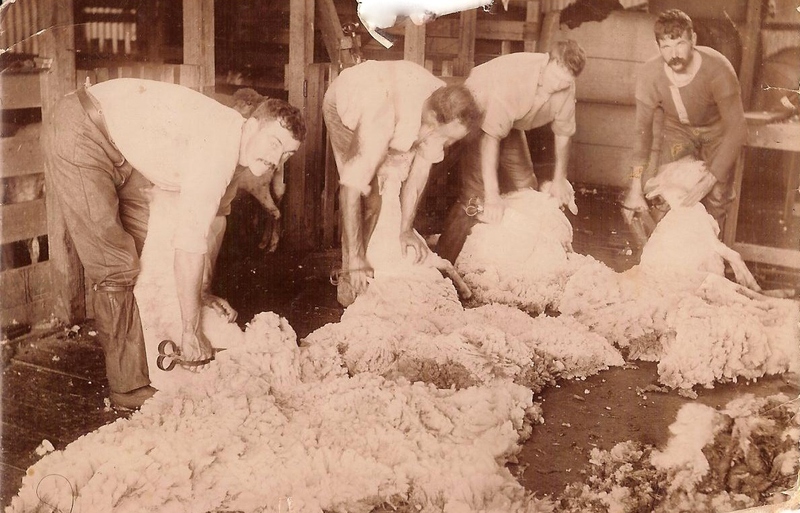 There is also the Cobden Times and Heytesbury Advertiser (1914-1918), the Cobden Times (1918), the Clunes Guardian and Gazette (1914-1918) and the Creswick Advertiser (1914-1918). I have found a wonderful article about my great-uncle Bill Riddiford in the Creswick Advertiser and an article about my great-grandfather in the also recently released Lang Lang Guardian (1914-1918) from Gippsland. I will share both in future Trove Tuesday posts. Now it’s time to get back to Trove. Although there are only four years of Specs online there are 267 matches for Harman, 418 matches for Hadden and 112 for Diwell just some of the names I am searching. I will have to stay patient however, many of the articles I want to read are still in the “coming soon” status so I will have to wait for my Electronic Friend to tell me when they are available but there are exciting times ahead. This entry was posted in Western District History and tagged Hamilton Spectator. Bookmark the permalink. Another Great Report. I am like you every where I go lately Beehworth, Rutherglen , Hamilton,Colac. all coming soon have to wait for electronic freind. Ifound 1 recently Colac Herald tagged Colac son born to Mathew Gamble 27/11/1889. That would be my grandfather Joseph Henry Gamle.I only had the year 1889.I love every report you do keep up the good work , Love Warren Gamble. Thanks Warren. I’m getting a little bit impatient waiting for my electronic friend at the moment but I’m sure it will all be worth it. Treasure awaits- do remember to come up for air.